What to Make Sure Of Before Renting An Airport Rental Car ? Elementary Car Rental in Ontario cares about people’s knowledge regarding renting a car. Therefore, we provide a complete guide that tackles the process of renting a car and how you have to be cautious of when renting a car. Within this article, Elementary Car Rental exposes airport car rental in Ontario. By the time you have finished reading the article, we expect you to have a comprehensive idea of what types of issue impede your computer’s performance. At the very bottom you might find our contact info to reach us in case of any question. When you’re traveling from one destination to another by air, you are likely to need an airport car rental upon arrival. Before you sign the agreement and drive away, there are some important facts that you need to know. There are quite a few potential pitfalls involved with airport car rentals and the only way to avoid them is to be aware of their existence and to know what to watch out for. There will be choices that you need to make including choosing the right agency and which options you are willing to agree to in the rental agreement. Here is some useful information and tips that can help you to know in advance how to make the best choices when using a car rental agency. 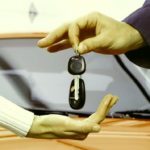 If you are a first time renter, you need to know that there is a lot more to car rental than paying the fee and driving away. Most companies offer an online service through their websites. This allows you to make reservations for the car of your choice and to secure the payment with your credit card. During this process you will be given a series of options and choices. These include the type of vehicle, pickup date and time and dropoff date and time. The company will give you an estimate of the total charges but it is up to you as the consumer to read all of the fine print in the agreement to make sure that there are no hidden costs which could be billed to your credit card later. It’s important for you to understand your options and which ones will be the most beneficial for you. You may be one of the safest drivers in the world, but there is no way to predict when another driver could sideswipe your rental car or cause some other type of damage. Accidents on the road can happen to anyone at any time so it is best to be prepared so you don’t incur additional expenses because of damage to the rental car. One of the options that you have to choose from is whether or not to purchase rental car insurance before you drive it away. The prices through rental car agencies can vary and the amount that you will pay depends on the extent of coverage that you opt for. Does Your Current Auto Policy Cover Rental Cars? If you currently have personal auto insurance it’s important to consult with your own agent to find out if your plan will cover you when driving a rental car and if so, what the parameters of the coverage actually are. If you are in a foreign country, your coverage may not be useful for a rental car so you should investigate to make sure. Does your credit card offer rental car insurance? Most people don’t realize that there are many credit card companies that offer this feature with your credit card plan. It’s always a good idea to check it out before you agree to paying more for insurance fees at the rental agency. When you arrive at the rental agency, you’ll go through all of the standard paperwork and sign the rental agreement. Read though the actual contract so you are aware of the rules and regulations that you must follow. This will include the responsibilities of the rental agency and your responsibilities as the renter. Defaulting on any of your agreed to responsibilities could result in higher charges for the rental. In addition, familiarize yourself with the basic rental rates and any other charges which may apply. Some companies may offer a flat rate that includes the length of time for the car rental with a limit on the number of miles that you can drive before additional charges kick in. Other companies will charge the rental fee and additional costs which are based on mileage. A variety of different people have likely used the rental car before you. While the agency may claim that the car is in pristine condition, there may be some damage from the previous driver that was not noticed by the rental agency staff. You should always look for any signs of wear or damage and point it out prior to accepting the vehicle. By doing this you can avoid getting stuck with the costs of any repairs for damages that were not your doing. This includes examining the interior and exterior of the vehicle. While you’re at it, you may also want to make sure that there have not been spills on the inside that produce odors or stains. If the previous driver was a smoker, there could be residual tobacco odors. These are all worth mentioning and documenting prior to leaving the agency parking lot. It’s important to make sure that the mileage listed on the agreement and the actual mileage on the odometer match up. If you will be charged a certain rate for mileage you don’t want to pay extra because the figures were written down incorrectly. This is a mistake that can happen easily when busy staff are processing vehicles and preparing them for the next rental. If the agency agrees to begin your journey with a full tank of gas, the gage should register it as full. One of the small details in most rental agreements states that you agree to return the car with a full tank of gas so it should be filled when you leave. While you’re doing this, it’s a good idea to make a mental note of which side of the car the fuel tank is located. This will help you to pull in to the right side of the gas pump when adding fuel. Before you return the car to the agency make sure that you fill the gas tank and save the receipt to prove that you did so. The majority of rental companies require a receipt. If you don’t produce one you may be charged additional fees even if the tank is full. Some more seasoned veterans actually go the extra mile and take pictures of the fuel Gage at the time of pickup and then again at the time of drop off. This should give you some idea of how often people are nicked with additional charges which are unfair but hard to dispute without proof. One of the fastest ways to rack up additional car rental costs is to be late returning the vehicle. While some agencies are a little more lenient, others will add hourly late charges. You can increase your rental bill by up to a fourth of the daily rate for every hour that you are late. If there is no way to avoid going over the return time then it is a good idea to contact the rental agency in advance to extend the rental time. It’s important to be around when the vehicle is returned and the final inspection is made. 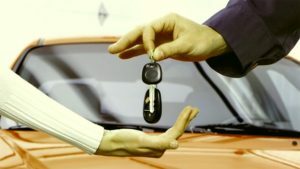 You don’t want to be charged for a bogus claim about damages that did not happen while the car was under your control. It may be hard to believe, but this has actually happened to some renters who knew that they returned the car undamaged, but had no way to prove that this was the case. It doesn’t happen often but there is a potential so it’s good to be aware and to take preventative action. If this really bothers you, there is the option of snapping a photograph as you return the vehicle. By doing so you’ll have some type of physical evidence to support your innocence. Now that you know the facts about potential pitfalls when renting a car it’s time to think about more enjoyable aspects of car rental. In most cases, you will have options for selecting the make and model that is most suitable for your activities and group size along with features that can make your outings more enjoyable. In general, the further in advance you make your reservations, the greater your choices. Some of the options you may want to consider are the types of entertainment systems including DVD players, whether you want heated seats, rear controls for entertainment and heating/ac systems and a host of other comforts that can make your trip more enjoyable. Also consider the type of vehicle that will best suit your needs. Are you planning to take well maintained roads or will there be some bumpy trails that you cover? How many people will need to be accommodated? These are all important considerations to make before settling on the specific vehicle that you intend to reserve. When you are looking for the best option for airport car rental in Ontario, Elementary Car Rental offers reasonable rates and top quality service. We are a modern and unique company that is dedicated to providing each and every customer the best possible customer service with high quality vehicles and exemplary service. Our business is family owned and operated so we work together as a team that is committed to placing customer satisfaction as our top priority. At Elementary Car Rental, we’ve gone the extra mile to ensure that our stock of quality rental vehicles are in top condition before they are made available. We offer a variety of choices that are sure to suit any rental needs and preferences. We offer a full line of vehicle choices which range from basic to more advanced entertainment and comfort features. We guarantee that you’ll be pleased with the vehicle that you select. Our operations are transparent so you’ll know up front about the options which are available. If you’re new to car rental we are happy to answer any questions that you might have. You can rest assured that you will not be surprised with charges for hidden fees. You’ll know in advance the total amount that you can expect to pay for your car rental with us. We offer competitive rates for airport car rental in Ontario and you can expect to be assisted by friendly and competent staff. Check out our website to read the reviews left from satisfied customers so you can find out about our commitment to customer service. ElementaryCarRental.com. From this site you can also contact us by sending an email message. If we are unavailable at the time that you call, please leave a message and we’ll return your call as soon as we’re back in the office. We value your business and are prompt in answering telephone and email messages. Contact us at Elementary Car Rental for all of your airport car rental in Ontario needs. Find out for yourself why we are among the top service providers in the area. We look forward to assisting you.